The Daily Racing Form/NTRA National Handicapping Championship begins today at Treasure Island Casino in Las Vegas, where over 500 players will compete for $2.7M in prizes. In its 17th year, the event is the most important tournament of the year for horseplayers and is the culmination of a year-long series of NTRA-sanctioned local tournaments conducted by racetracks, casino race books, off-track betting facilities and horse racing and handicapping online sites, each of which sends its top qualifiers to the national finals. LAS VEGAS (Wednesday, January 27, 2016) – Steven Crist, the longtime Daily Racing Form publisher and columnist who was the impetus behind the formation of the National Handicapping Championship (NHC), and Judy Wagner, winner of NHC II in 2001 and the first horseplayers’ representative on the NTRA Board of Directors, have been selected for induction to the NHC Hall of Fame, the National Thoroughbred Racing Association (NTRA) announced today. 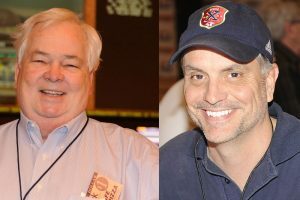 Crist and Wagner will be inducted at the NHC Champions Dinner on Saturday at the conclusion of the 17th Daily Racing Form/NTRA National Handicapping Championship Presented by Racetrack Television Network and Treasure Island Las Vegas, set for Thursday to Saturday at Treasure Island. For nearly 35 years Crist, of Long Island, N.Y., has been the most visible and outspoken horseplayers’ advocate in the United States. He has been the publisher and a columnist for Daily Racing Form since 1998 and throughout the NHC’s entire existence. Previously, he covered racing for The New York Times from 1981-1990; was founding editor-in-chief of The Racing Times in 1991-92; and a vice president of the New York Racing Association (NYRA) from 1994-97. His horseplayer-friendly accomplishments include writing the legislation for nickel breakage and instituting full-card simulcasting at NYRA. 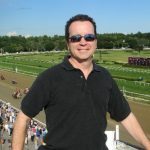 He is the author of multiple books and tutorials on handicapping, as well as a memoir, Betting on Myself: Adventures of a Horseplayer and Publisher. Wagner, of New Orleans, has been one of America’s most recognizable handicapping contest players since her win at NHC II. She is among the NHC’s all-time leaders with 12 appearances at the finals in Las Vegas. She finished second to her husband, Bryan Wagner, in the 2009 NHC Tour. In recent years she has foregone NHC and NHC Tour eligibility to advocate for bettors as the first horseplayers’ representative elected to the NTRA Board of Directors. Wagner is a former horse owner and has been a member of the Louisiana State Racing Commission since 2007. She has lobbied on behalf of horseplayers in Washington, D.C., and in numerous editorials and public appearances. She remains the only woman to win the NHC. Wagner also expressed her appreciation to her husband, Bryan Wagner, the 2009 NHC Tour winner who took Judy on her first visit to a racetrack, Fair Grounds, on a date in 1994. Crist and Wagner join last year’s inaugural NHC Hall of Fame inductees Mike Mayo and Ron Rippey. Hall of Fame inductees are chosen by the NTRA in consultation with the NHC Players’ Committee. 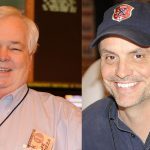 Or, for tournament players and non-tournament horseplayers, contributed to the overall growth and success of NHC tournament play, with indelible positive and lasting results.